0811081022, originally uploaded by lilithny. Our second day in Michigan. We ended up waking up pretty late after the all-night bonfire. We headed over to Port Huron, to go to a party thrown by the M's sister. The weather could have been better- it was cold and rainy. We ended up getting to the party early, and instead of waiting for them to light up the grill, we set out for some breakfast. 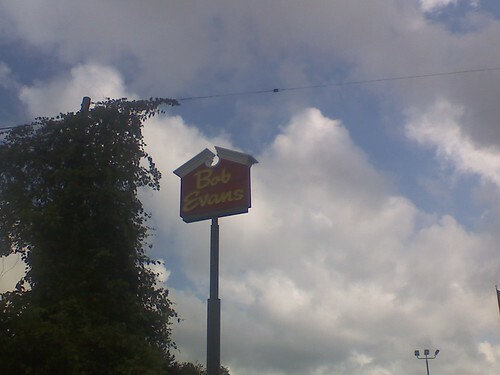 I've never been to a Bob Evan's before. It's always been one of those things I would see and say how I wanted to go, but not really. 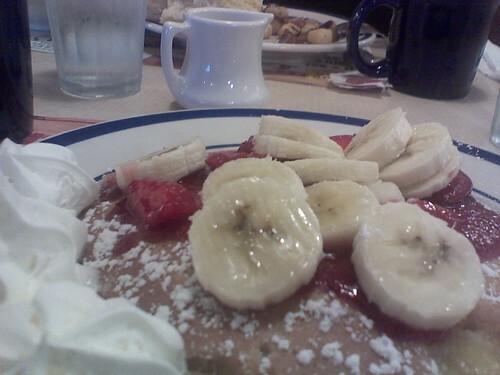 They're all the same really- IHOP/Denny's/Cracker Barrel/Bob Evans. 0809081354, originally uploaded by lilithny. 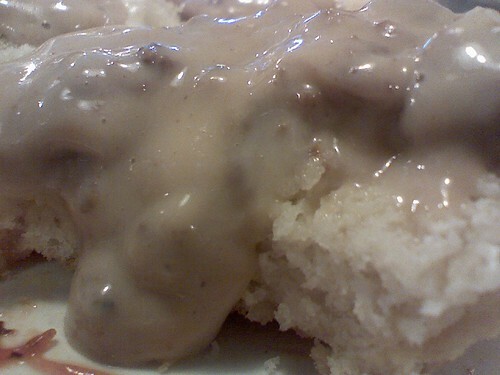 A few of my Southern friends got me into the sausage and biscuits habit. 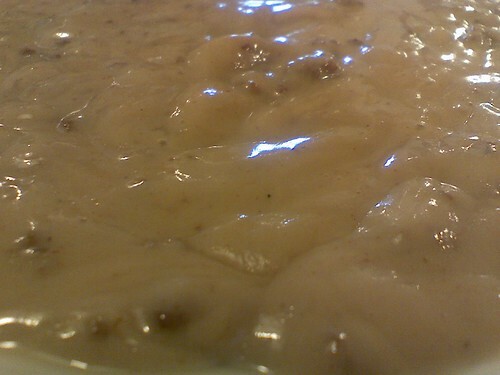 Look at that gloopy goodness? And sausage bits! I'm getting hungry just thinking about it. 0809081400, originally uploaded by lilithny. 0809081354b, originally uploaded by lilithny. M's breakfast. No clue what he ordered, but I did sneak a bite of this. 0809081351, originally uploaded by lilithny. 0809081854, originally uploaded by lilithny. The party. 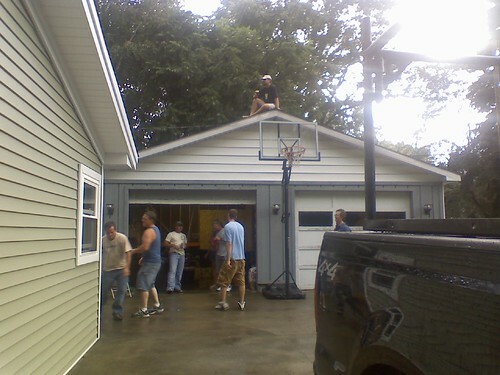 When we got back from Bob Evan's, people were climbing the garage.